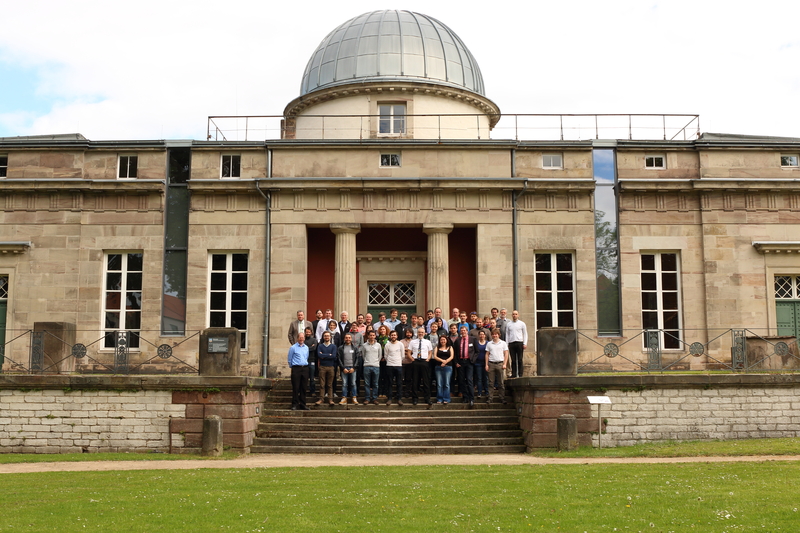 The first Annual Open Workshop of the EU FP7 project HELCATS (HELIOSPHERIC CATALOGUING, ANALYSIS & TECHNIQUES SERVICE) will take place on May 19-22, 2015 at the Georg-August-University of Göttingen, Germany. It takes place directly after the second HELCATS bi-annual project meeting/technical review to be held on May 18-19. The Annual Open Workshop is open to anyone who wishes to attend. The meeting organisers are Volker Bothmer (Göttingen), Richard Harrison and Jackie Davies (both of the Rutherford Appleton Laboratory), the HELCATS Team, and the EU office at the University of Göttingen. The HELCATS project (see http://www.helcats-fp7.eu/) is providing revolutionary new insights into solar wind structure through combining the comprehensive analysis of heliospheric imaging observations from the NASA STEREO spacecraft, in concert with associated remote-sensing and in-situ measurements, with a thorough assessment of appropriate techniques and models. The project recognises that the advent of wide-angle imaging of the inner heliosphere has revolutionised the study of transient and quasi-stationary structures in the solar wind, in particular Coronal Mass Ejections (CMEs) and Co-rotating Interaction Regions (CIRs). Prior to the development of wide-angle imaging of the inner heliosphere, signatures of such solar wind features could only be observed within a few solar radii of the Sun, and in the vicinity of a few near-Earth and interplanetary probes making in-situ measurements of the solar wind. Heliospheric imaging has, for the first time, filled that vast and crucial observational gap. Instrument development/applications for future heliospheric and space weather missions. We will debate, in particular, the emotive issue of how we associate CMEs with related phenomena observed, for example, on the Sun or in-situ. How do we define (without bias and the need for assumptions such as the relationship between flares and CMEs), a standard set of ‘rules’, both temporal and spatial, for making such associations? Such standards are crucial when forward and backward-projecting data. The workshop will consist of keynote lectures, and contributed oral and poster presentations. Created by Julius Achenbach. Design by Bootstrap.